North Korea's institutional politics defy traditional political models, making the country's actions seem surprising or confusing when, in fact, they often conform to the regime's own logic. Drawing on recent materials, such as North Korean speeches, commentaries, and articles, Patrick McEachern, a specialist on North Korean affairs, reveals how the state's political institutions debate policy and inform and execute strategic-level decisions. 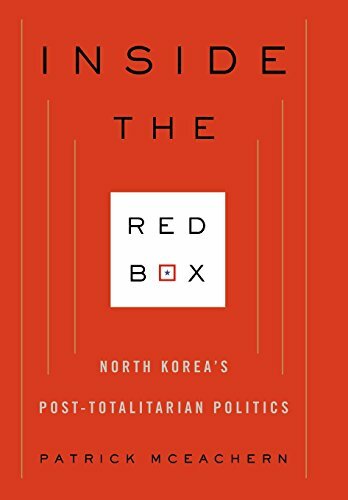 Many scholars dismiss Kim Jong-Il's regime as a "one-man dictatorship," calling him the "last totalitarian leader," but McEachern identifies three major institutions that help maintain regime continuity: the cabinet, the military, and the party. These groups hold different institutional policy platforms and debate high-level policy options both before and after Kim and his senior leadership make their final call. This method of rule may challenge expectations, but North Korea does not follow a classically totalitarian, personalistic, or corporatist model. Rather than being monolithic, McEachern argues, the regime, emerging from the crises of the 1990s, rules differently today than it did under Kim's father, Kim Il Sung. The son is less powerful and pits institutions against one another in a strategy of divide and rule. His leadership is fundamentally different: it is "post-totalitarian." Authority may be centralized, but power remains diffuse. McEachern maps this process in great detail, supplying vital perspective on North Korea's reactive policy choices, which continue to bewilder the West. ...deserve to be added to the list of essential readings on the modern politics of North Korea...--Marc Lanteigne "International Affairs "